Honor 8 is a flagship model manufactured by Huawei. It has a very eye-catchy design and amazing performance. Many users of this device are in love with it, but some find this phone to be filled with bloatware that they want to delete. For some, Huawei’s EMUI interface is not so appealing, so they want to try out a different ROM. In any of these cases, users are required to root their phones. We have written this guide to help you accomplish the rooting successfully. To root your Honour 8, you need to unlock the bootloader of your phone. 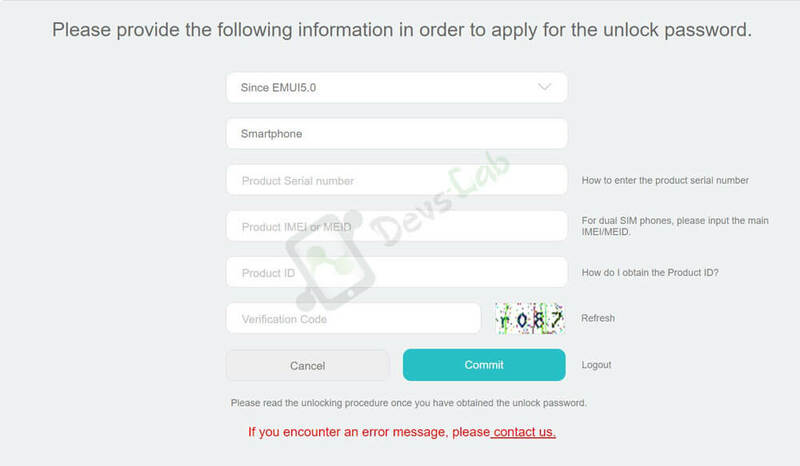 To unlock the bootloader of your phone, visit Huawei’s official website and unlock your phone’s bootloader. 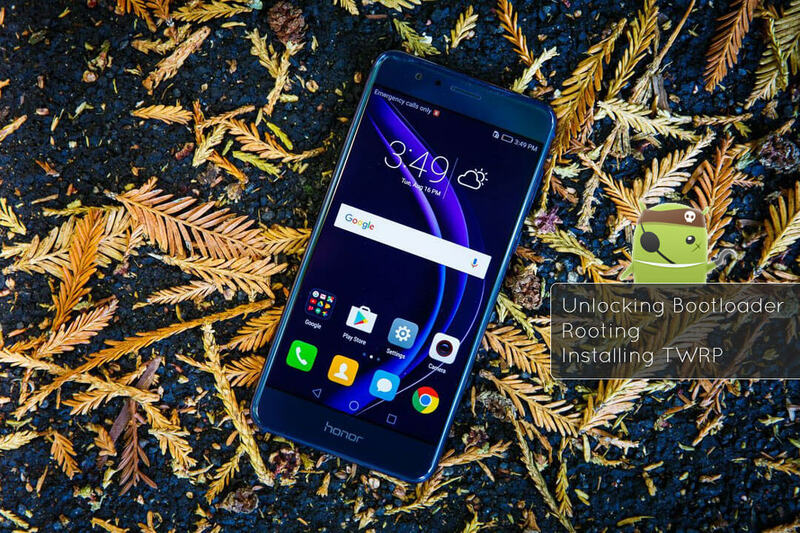 After that follow the guide to Root and Install TWRP Recovery on Honor 8. Warning: Backup all your data before proceeding, I will not be held responsible for any damage to your device. Rooting your phone may cause your warranty to be void. Let’s begin. Firstly, setup and Install ADB drivers on your PC. Your IMEI will also be listed on the box and the “about” section. The product ID can be found by typing *#*#1357946#*#* into your dialer app. Step 3. After entering all the details, click on “Commit”, you’ll find an unlock code for your device immediately. Save the unlock code, we’ll need it later. Step 4. Enable USB debugging mode & OEM Unlock in Settings > Developer options. Step 5. Connect your device to a PC/Laptop, using a USB cable. Launch command.bat file from ADB folder. Step 7. Finally, to unlock the bootloader on Honor 6X, type the below command along with the unlock code. This will unlock the bootloader on your device & also perform a factory reset. Step 1. Power on you Honor 8 & connect it to the PC. Step 2. 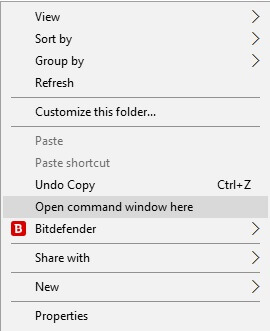 Go to the ADB folder in your PC and open the command window in there by pressing and hold the ‘shift’ key then right-click anywhere in that folder and you’ll see an option to “open a command prompt”. Step 3. In the command prompt, enter the following command to boot your phone into Fastboot mode. Step 5. After copying the file, open command prompt again. Now write the command shown below and then press enter. It will flash the recovery on your phone. 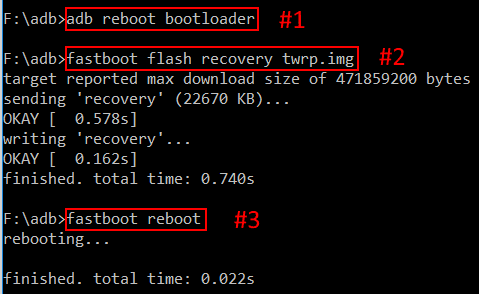 Boot your device into recovery mode (TWRP) by pressing ‘Volume Down + Power‘ button. In TWRP go to Install and locate the SuperSu.zip file that you saved on your phone. Select to install SuperSu.zip. Swipe to install SuperSu and reboot your device. Viola, your Honor 8 is now successfully rooted with recovery installed. Cheers! To kick start things, you can check our list of Apps for Rooted Android devices or even install Xposed Framework & installer. Premium apps and games on sale for free today! Grab them before it's too late! How to install Android O-Beta preview build on the Google devices.